Jacket with attached waistcoat, bow tie, golden ticket and hat. A fabulous costume for the young at heart who still dream of owning a chocolate factory! 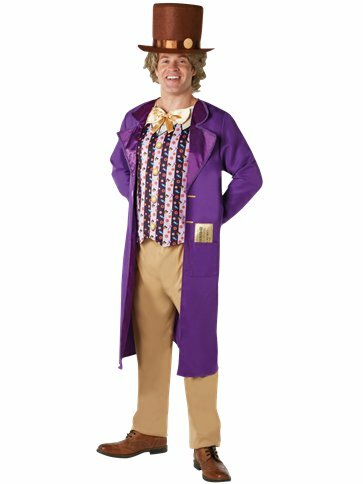 This four piece Adult Willy Wonka costume features a jacket with attached waistcoat, a bow tie, a top hat and golden ticket.